As we approach the 150th anniversary for the Battle of Antietam and the high water mark for the story of Oliver Cromwell Case, I want to pause from the chronological presentation and commentary on his letters. Since only a few letters remain in the collection, I think it will be useful to return to hit the high points of Oliver’s journey on the road to the fields of Sharpsburg. Over the summer, I plan to present a series of posts that summarize the movements of the 8th CVI and the experiences of Private Case. Along the way, I will cover his last few letters to Abbie. Oliver Cromwell Case was born three days before Christmas Day in 1839 to Job and Abigail Phelps Case members of two of the founding families of Simsbury, Connecticut. He was the youngest of three sons (Ariel – 1831 and Alonzo – 1834) with one younger sister, Abbie, born in 1846. An older sister, Rachel, died as an infant in 1830. 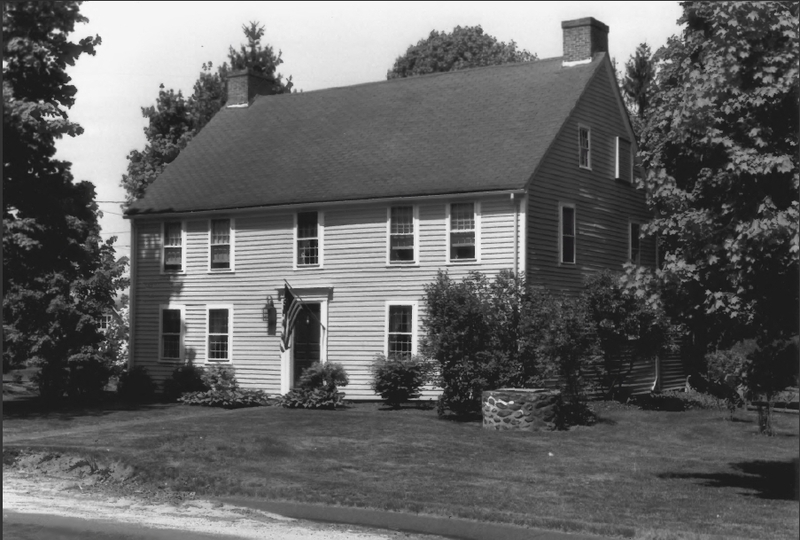 The family lived on a small farm just outside of Simsbury in a simple frame, colonial style two-story house built around 1790 likely by Oliver’s great grandfather, Job Case. His father’s one hundred acre farm primarily produced tobacco with other products such as rye, Indian corn, oats, Irish potatoes, hay and fruit. The Case family was prominent in the Simsbury area and members of the family had served in various capacities in military organizations since the 1600s. Job Case, Oliver’s great-grandfather, was a captain of the militia in the French and Indian War and then commanded a company of militia from Simsbury during the Revolutionary War. His grandfather, Ariel Case, served in the 18th Militia Regiment and his father was a captain of the cavalry for the state militia. Education was obviously a priority for the Case family as evidenced by the quality of Oliver’s letters which becomes evident as you read those letters. The historical record shows that Alonzo Case spent his early educational years in a one-room schoolhouse near the family farm. He moved on to continue his matriculation at the Connecticut Literary Institute, Suffield and Wilbraham Academies. It is likely that Oliver followed much the same educational path as his older brother. Also, as reveal in several of his letters, Oliver’s younger sister Abbie attended a school that required funding which was provided, at least in part, by her brother. Oliver’s important decision to join Company B of the 8th Connecticut Volunteer Infantry Regiment on September 16, 1861 would set in motion a chain of events that dramatically impacted his life over the next year and created a permanent and painful scar on his family forever. The motive behind the decision by the young Mr. Case to volunteer at that particular moment in time is lost to history and his intentions can only be inferred from circumstantial evidence and the letters he left behind. Meetings were held in the different towns, at which the citizens flocked to listen, to applaud, to encourage enlistments, and to contribute to the volunteer fund. Immense mass-meetings were held in the cities, — the largest and most excited gatherings ever seen in the State. This patriotic fervor likely struck Oliver as he also saw the opportunity to become his own man moving out from the shadow of his older brothers and gaining the respect of his family and community. Both of his brothers had responsibilities to their families and farms that would hold them out of service to the Union cause for another eleven months. On September 27, 1861, the 8th Connecticut Volunteer Infantry Regiment was officially organized and activated at the training ground known as Camp Buckingham located just outside of Hartford, Connecticut and recently the training ground of the 5th CVI. The man selected to command this new regiment was Colonel Edward Harland of Norwich, a Yale-educated lawyer who has recently returned from his first military experience as a Captain in the 3rd Connecticut Volunteer Infantry Regiment commanding Company D during the recent Union loss at the Battle of Bull Run. Since the 3rd CVI was a “3-month” regiment, the 29-year old Harland soon found himself without a unit. Harland’s desire for continued service coupled with his reputation as a proven combat leader brought him to an appointment as the new Colonel of the 8th CVI. Within a few days of assuming command of the regiment, Colonel Harland received word that the 8th would be one of two regiments provided to fulfill the requirements given to Governor Buckingham by the United States Secretary of War Simon Cameron. The regiment was ordered to prepare for movement to Camp Hempstead at Long Island, New York where they would be under the command of Brigadier General Ambrose Burnside. 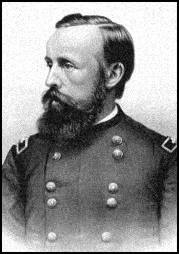 Although a West Point graduate, Burnside’s leadership of a brigade at Bull Run was less than impressive. However, his pre-war business connections and friendship with the newly appointed commander of the Union armies, Major General George B. McClellan, landed Burnside a highly desirable command position leading an expeditionary force intended to invade North Carolina. The soldiers of the 8th were unaware of their future mission as they prepared to depart Hartford on October 17, 1861 bound for New York. Although Oliver originally enlisted in Company B, on October 1, 1861 he was transferred to Company A for unknown reasons. He does not mention the transfer in any of his existing letters, but he did not seem to be opposed to the reassignment and seems to have quickly formed friendships with members of his new company.